“The Search Engine Optimisation of webpage content is the difference between being found on Google and being invisible” says Peter Bowen, Managing Director at First One On. Ensuring that a specific page on your website contains the keyword that you want visitors to find you for is what defines good search engine optimisation, and the page must be relevant to the keyword that the visitor has searched for. The resulting optimised page must contain very specific information that talks about the value and benefit of the keyword. The optimised page should not just deliver great search engine rankings; it should also attract quality visitors to your website who will ultimately convert into real business leads for your business. First One On the SEO experts in Bristol say that the task of optimising keywords and page content is an ongoing process that requires an effective balance of good quality content and realistic benefits for the visitor. It makes no sense at all to attract ‘bees’ (visitors) to your honey pot and then turn them away because you either have not provided enough substance about your keyword or you have failed in asking them to react to your message with a suitable ‘call to action’. Having an effective call to action is an essential part of any website. A call to action is not just limited to ecommerce sites, infact very website should have an objective, and every page needs a goal it wants users to complete whether it is filling in a contact form, signup for a newsletter or requesting a call back. A call to action provides . . .
• Direction to visitors to react to your sales message. 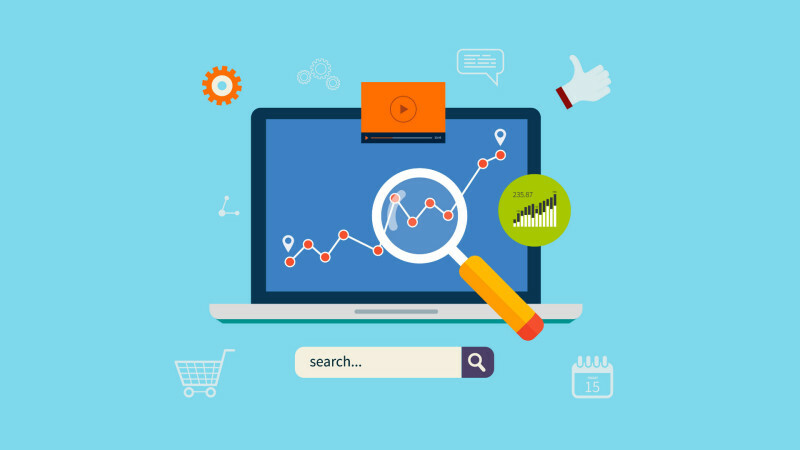 First One On delivers results that can be measured and we are driven by the need to achieve the very best for our clients with proven SEO strategy as we are fully accountable for everything that we do to enhance our clients business. This is paramount to ensuring that we exploit the right opportunities at the beginning of the relationship. We listen to what our clients say about their customers and identify methods to improve communications to achieve their SEO goals. We understand the need for creative ideas to strengthen the brand and our expertise in providing different marketing and communication media across all channels further reinforces our clients branding. Our wide ranging knowledge and experience across the fields of digital communication, search marketing, website development and social media have helped our clients evolve by ensuring their growth in these ever-changing times. We understand the need to focus on results and firmly believe in measuring the effects that a marketing campaign will have on our clients performance. 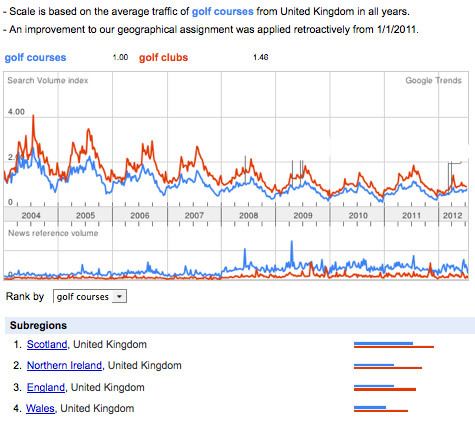 As a digital internet search marketing agency First One On analyses and researches how changes in searches affects keywords and closely monitors which potential keyword terms will deliver the best result for the client – for example, is it Golf Clubs or Golf Courses? Search Engine Optimisation isn’t something you do once. You may rank well for a keyword search on Monday, and twenty-third for that same keyword search two weeks later. So it’s important to set aside time, ideally every week, to review your Google Analytics, fine-tune your keywords, and look for link opportunities. No more smoke and mirrors please – if they say its guaranteed to get you to the top of Google it probably isn’t because there are no guarantees, and there’s no such thing as ‘free’ – if it is free it has no value. If you are serious about SEO – search engine optimisation and want to dominate your competitors by being at the top for highly competitive search terms when there are millions of other webpages all wanting top spot?, then read on. 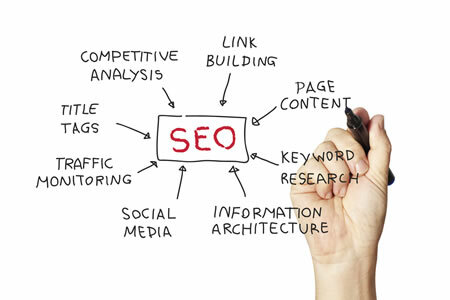 Improving a website’s position in a search result is a gradual process that takes time – lots of time and patience, and it is possible for a small business to greatly improve its chances of landing on the first page of relevant search results using legitimate, “white-hat” SEO practices and honest search engine optimisation. At First One On we highly recommend kick-starting a firm’s SEO by running a small pay-per-click (PPC) keyword ad campaign with Google AdWords linked to a highly relevant content rich landing page on the clients website – coupled with an explicit call to action, such as an invitation to call for a free phone consultation. PPC ads can begin delivering targeted traffic to your website within minutes or hours, versus the months that organic SEO efforts can take. Before starting an SEO campaign, develop measurable goals and priorities, and plan to revise them periodically. Some questions to ask: What are your current business needs? Which of your products or services are most important to promote now? What do you want visitors to your website to do, buy, or learn?Next, decide how to measure success. If you haven’t already done so, add Google Analytics to each page of your website. Google Analytics reveals which keywords visitors used to find your site, and much, much more. There are other web traffic analysis tools out there, but Google Analytics includes all of the features that most small businesses need. Often, a business doesn’t describe its products using the same keywords that its clients use. That’s why it’s important to talk to employees, partners, current and potential clients, and your sales staff to determine which words are most frequently used when people seek out your firm and its products or services. Use those phrases to develop an initial list of SEO keyword candidates.Several keyword-research tools are available to help you choose the best terms for SEO. Google AdWords Keyword Tool helps you gauge how frequently keywords are searched in a local area, and how competitive a keyword is. The tool is designed to help marketers choose keywords for Google PPC ads, but it’s useful for organic keyword research, too. You’ll also get lots of keyword variations that you might not have thought of.When choosing keywords, some site managers take into account the Keyword Effectiveness Index (KEI), a mathematical equation that comes up with a score based on the number of times a keyword has been searched and the number of Web pages containing the keyword. The higher the KEI score, the better your chances are for “winning” that keyword. Using keywords effectively can make your site more discoverable. But overusing or abusing them can cause search engines to ignore you so be careful not to overstuff content with keywords – make sure the text content is meaningful and relevant to the search keyword term.Optimise one page for each keyword (and its synonyms) that you were able to identify in the keyword research.When the entire context of a page is about a particular subject, search engines are more likely to see that page as relevant to the keyword being optimised.Use keywords in the page’s HTML title tag. Search engines place great importance on title tags when determining a page’s relevancy to a query. Don’t exceed 65 characters, including spaces and punctuation.Add keywords to the page’s HTML h1 and h2 headings, and use the keywords several times in the body copy–the earlier, the better.Create a keyword-rich link (anchor text) elsewhere on your site to each page you are optimising.Add keywords to your site’s URLs whenever possible, as opposed to using generic URLs such as www.domain.com/page456.html. Add keywords to the HTML meta description on each page. Search engines often (but not always) display that description underneath each link shown in search results. But don’t bother with HTML keyword meta tags: Google ignores keyword meta tags in page search ranking. Don’t try and be ‘smart’. “Black-hat” tricks–such as presenting one page to search engines that’s nothing but keywords, and another page to users–can get you kicked out of Google’s index. Editorial endorsements of your product or service from someone else, such as a high-profile blogger, can be pure SEO gold–especially when that endorsement includes a keyword-rich link to a relevant page on your site.Bloggers and other people with content rich websites frequently post links to other great content. Make sure your pages have provocative, newsworthy, or extremely useful content–otherwise known as “linkbait.”Spread the word about a new blog post, page, or article via social networks such as Facebook, LinkedIn, and Twitter.Write an informative unbiased press release about your new product or service. Include a keyword-rich link to a relevant page on your site, and post the release on public relations sites such as PRWeb.com, PRNewswire.com, and PR.com. (Some PR services are free, while others charge.) With luck, your press release will get picked up by the media, and people will write online articles about you with links to your site.Contact influential reporters, bloggers, and others in the media directly. You’ll increase your chances of coverage and perhaps get links that your competitors lack. When other sites agree to link to yours, suggest the keyword that you’d like them to use in the link text. Don’t participate in reciprocal linking – if a website asks you to exchange links, don’t be tempted, most have no value to you.